Ultra-bright LED lamp made of aluminum. 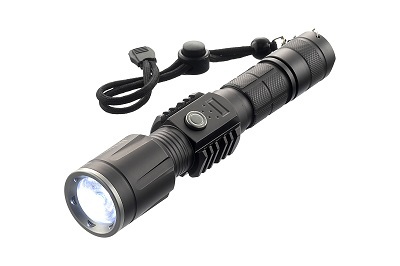 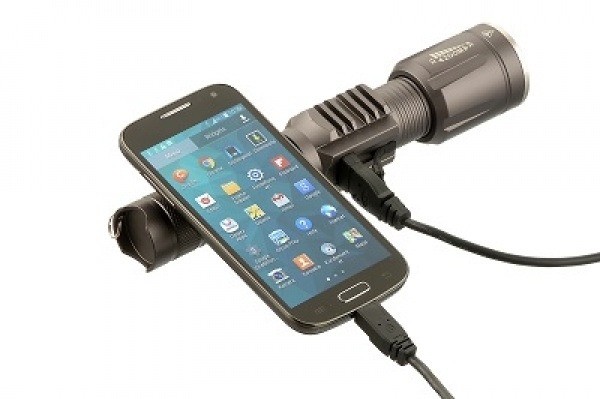 10 watts (500 lumens), CREE XM-L T6, with zoom, full power, half power, flashing and SOS function. 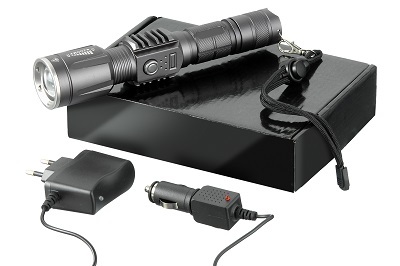 Rechargeable with AC power adapter (included) or car charger (included). Mounting loop with snap hook. Gift packaging. 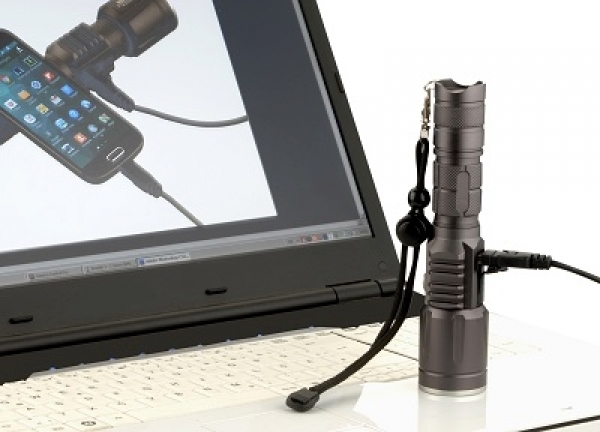 Prices include Doming with your logo!